I would crawl over broken glass to have this in my Beatle scrapbook, a check signed in 1976 by both John AND Paul. It was one of the few times in Lennon’s life, according to Yoko, that he didn’t purposely go out and make waves. “You must understand,” she said, “we had a very difficult time with immigration. But when John finally got his green card, he thought, well, he has a son, he has his green card. Maybe this is not the time to be too dangerous.” Then came the summer of 1980. Against the political backdrop of fifty-two Americans still being held hostage in Iran, which greatly diminished the chances of Jimmy Carter’s reelection bid and made Reagan look more and more like the next president of the United States, Lennon traveled with a five-man crew to Bermuda. His intention was to rent a house on the island and simply while away his time swimming and sailing. But something else happened on Bermuda, and it turned out to be a burst of creative energy that saw him writing more than a dozen songs in three weeks. He knew Yoko also had been writing songs in New York, and they would spend days on the phone singing their latest compositions to each other. It was clear to both of them that they would start recording a new album as soon he got back. On Tuesday, August 5, John and Yoko entered the Hit Factory, on West 48th Street in New York, to begin recording the album, Double Fantasy. Producer Jack Douglas was at the controls, and photographer Bob Gruen was given almost free reign to document the sessions with candid pictures. “I visited the studio on and off from late summer through the end of the backing track sessions,” said Gruen. “I was there a number of times while they recorded. We really had no set appointments. I just did things as the situation came up. John was extremely positive about the music he was making, and excited to be back in the studio. He was coming from a position of real strength in his life. He had spent five years out of the limelight, and he had taken time to raise his son and learn about parenting and about living. “I had been in a hundred recording studios with different artists, and I’d been with John in various studios, as well,” said Mintz. “The recording of Double Fantasy was unique because in many ways it was a metaphor for the way John’s life was coming to completion. All these recording studios-the Hit Factory, where John and Yoko recorded the album, or the Record Plant, where it was mixed-have closed-circuit cameras at the front door. They have this so an engineer can see who is ringing the buzzer. A lot of sessions sometimes go on into the middle of the night. The studio may not be in the best neighborhood. So they need these cameras for security reasons. One of the things I remember about the Double Fantasy sessions was John and Yoko pinning a large photograph of Sean to the face of the TV monitor above the recording console. You couldn’t see who was outside, but for John and Yoko it was more important to see Sean staring down at the console. Sean’s father kept mostly to himself in the cavernous multiroom restaurant, watching the party as though he were there as an observer and not a celebrant. There was, after all, much to reflect on. He was now forty. Mintz went back to the Dakota with John and Yoko that night, into what was called the “old bedroom,” facing West Seventy-second Street. John’s primitive hi-fi system was on one side of the bed. At the foot of the bed was a television, a large-screen TV that John had purchased a few years before in Tokyo. Mintz was with him in Japan when he bought the TV. Behind the bed was a brick wall, and in front of it, up against the foot, was the large-screen TV. On either side of the television were these two large old-fashioned dental cabinets, the kind that you might see in a Norman Rockwell painting from the 1930s, with twenty or thirty sliding drawers, basically for clothing and John’s ties. When the music was over, Mintz and Lennon talked into the night. Yoko fell asleep. “She usually went to sleep when John and I spoke,” said Mintz. “Yoko does not sleep the way most people sleep. She takes a series of catnaps during every twenty-four-hour period. She’ll go down for two or three hours, come up, do what she has to do, and when she gets tired she goes to sleep again. She can sleep at the drop of a dime. She had heard thousands of hours of the John and Elliot dialogue. And with my kind of late-night FM voice, and John mostly talking about things Yoko already knew about, I would expect her to fall asleep. And that night she did. “John was enthusiastic about everything that night, not only about the record coming out, but also about what the record symbolized, and where he was with his family,” said Mintz. “A few weeks prior to this he had prepared his first loaf of bread that he baked in his oven. He sent me a Polaroid picture of the loaf of bread, which to him was a symbol of pride that he could do such a thing as create a loaf of bread. I still have the Polaroid of the loaf of bread. I know there’s the impression that his life was very frenetic, very busy, but in fact it was Yoko who was generating a lot of the business stuff and taking the phone calls. John just seemed content with where he was, and completely at peace in terms of his relationship with Sean. Each night before he slept, he would put Sean to sleep by cradling him in his arms and whispering into his ears the various things that the two of them did that day. Back in California, Mintz continued his regular phone dialogue with the Lennons, speaking to Yoko daily, and to John maybe three, four times a week. “With the album still relatively new,” said Mintz, “he talked to me about what I thought the public reaction to his reemergence might be, after all that time away. And I recall asking him, ‘Do you care? Does it matter?’ “He snickered,” said Mintz. “He said for years he was always concerned when he saw any of the pop stars in the magazines because he was never one who enjoyed going to places like Studio 54 and having his picture taken. Because he had been out of the loop for so long, he wondered whether or not he would even be remembered, and whether or not the music would still be relevant or significant. I believe his questions to me on the phone were more rhetorical than anything else. He did say that none of his contemporaries had ever put their women on the same level as he did with Yoko. That’s why Double Fantasy was so special to him, because it was not a reemergence of Beatle John coming back to say hello again, but a statement of where he was in his life. On Thursday night, December 4, Bob Gruen met Lennon at the Record Plant, on West Forty-fourth Street, where he was mixing Yoko’s single “Walking on Thin Ice.” The song had been hastily recorded after Double Fantasy was completed. “They did all their mixing at the Record Plant,” said Gruen. “I took a number of pictures of John and Yoko around the studio that night. 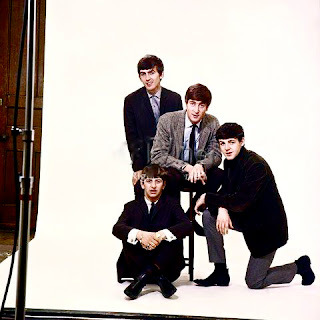 They posed in front of an eight-foot-tall guitar that John had fabricated for an avant-garde festival. It was too big for them to take home, so they ended up loaning it to the Record Plant for a while. I knew he had made it, so I wanted them posing in front of it. “Then he told me about this coat he had at home, this fancy gold and red braided jacket with Japanese writing on it,” said Gruen. “He wanted me to shoot pictures of him wearing this coat, so we made another plan for me to come back the next night, and I did.” While Yoko spent most of Friday night, December 5, putting various vocal effects on her single, Gruen sat with Lennon on the floor of the Record Plant and talked. It was dawn on Saturday, December 6, by the time Yoko finished her work in the studio. All during the night Lennon never put on the braided jacket, and now he was carrying it over his arm as he walked outside with Yoko and Gruen. That afternoon, Lennon went by himself to his favorite West Side haunt, Cafe La Fortuna, a small Italian coffee shop on West Seventy-first Street, just around the corner from the Dakota. John and Yoko were regulars at Cafe La Fortuna, right from the time it opened in 1976. They would often go in together, with or without Sean, and there were many more times that Lennon could be found there by himself, drinking cappuccino, nibbling on Italian-made chocolates, reading the newspapers, and talking with the restaurant’s owner, Vincent Urwand. Lennon viewed La Fortuna as a safe haven, and over time he established the kind of relationship with Urwand that allowed for much teasing and playful banter. Urwand even teased him that day about Double Fantasy.”Look, you’ve had all those years of wildness and success in the Beatles,” Urwand was quoting as saying in Ray Coleman’s exhaustively researched John Lennon biography, Lennon. Back at the Dakota that night, Lennon phoned his aunt Mimi, his mother’s sister and the woman most responsible for his upbringing, and gushed about the new album. Later that morning, Lennon had his hair cut at a nearby salon and then returned home to do a photo shoot with Yoko for photographer Annie Leibovitz. At 1 P.M., Lennon did a phone interview with a disc jockey from the RKO Radio Network. John and Yoko spent the remainder of the afternoon making phone calls and playing with Sean. The only real plan they had was to return to the Record Plant so they could continue tinkering with Yoko’s song. “It was getting late,” recalled Yoko, “and we both said, ‘Oh, we better go now.’ We were getting to be like this old couple who really knew each other so well, and knew each other’s moves so well. I went out that weekend and I bought some chocolates because John loved chocolate. I had gone out to get something, I don’t remember what, and I thought, ‘Oh, I better get some chocolate for him.’ And I did. “Then I came upstairs, and before I could open the door, he opened it from the inside, and he said, ‘I knew you were coming back.’ “I said, ‘How did you know that?’ “He said, ‘I just knew.’ “I said, ‘I thought of your chocolate, and I got you some. '” Lennon graciously took the chocolate from his wife and set it down on a table, but he never took a bite. At approximately 5 P.M. on Monday, December 8, John and Yoko came downstairs and were met outside by Paul Goresh. John and Yoko knew they were not going to pull another allnighter at the Record Plant. Most of the work on Yoko’s song had been done, and producer Jack Douglas promised that he would have a master copy finished by 9 A.M. the following morning. The Lennons were grateful to get out of the studio at a relatively early hour. As Yoko said, “John wanted to get home early enough to say good night to Sean.” Goresh was already gone by the time John and Yoko returned to the Dakota. The desk clerk, Jay Hastings, pressed an alarm button that was wired directly to the Twentieth Precinct, and within two minutes police were on the scene. Lennon was taken by a police car to the emergency room at Roosevelt Hospital, on West Fifty-ninth Street. A team of seven doctors worked feverishly to save Lennon’s life, but the blood loss was too great, and he died. Mintz, who remains a fixture in Yoko’s life to this day, said that very little about her Dakota apartment has changed since Lennon’s death in 1980. “Everything looks pretty much the same, except she now has a new bedroom,” said Mintz. “She doesn’t sleep in the old bedroom. For months after John’s death she slept in their bed in the old bedroom. For a while, she got solid comfort being in that room. Now she uses it as a guestroom. March the 12th, Paul and Linda’s wedding anniversary .. i’ve often said it but if there is one couple i could have chosen to watch grow old together it would have been Paul and Linda, if anybody ever asks me about a relationship i point to them and say ‘I want that’, i have a golden memory of getting to wish Paul and Linda happy anniversary when they celebrated their 24th wedding anniversary in Australia. They were together for far too short a time, but how lucky that they found each other for the time they did have. The two photo’s above show Paul having an absolutely perfect hair and sideboard day, how good and happy is he looking lately. The two photo’s above show James arriving with Nancy and Paul, obviously Nancy has the approval of the kids as she has been photographed recently with just about all of them. The first photo’s of Bea with any of her siblings, here she can be seen with James and a healthy smattering of the extended Beatle family with Aunt’s Yoko and Olivia on hand as well. Thanks so much to the Fab Gail M Smith for the use of the first photo in this series, photo’s Taken at Stella McCartney’s Fashion Show at LIPA, June, 2008. Cyn, Mike and Josh McCartney at Abbey road in Feburary 09. I think the look say’s it all really, good on them.